Marines and sailors are working to distribute emergency supplies in the wake of Typhoon Soudelor, which struck the island of Saipan on Aug. 2 through Aug. 3. About 600 Marines and sailors of the 31st MEU, embarked with the dock landing ship Ashland of the Bonhomme Richard Amphibious Ready Group, are assisting the Federal Emergency Management Agency and local governments in the Pacific to deliver water, equipment and Meals, Ready-to-Eat to the most populated island in the Northern Mariana Islands, according to a Marine Corps release. Four MV-22B Ospreys with Marine Medium Tiltrotor Squadron 265, 31st MEU, are also stationed in nearby Guam to provide aerial lift support, the release said. On Friday, the Japan-based Ashland, which had been on a port call in Guam, and members of the 31st MEU arrived at the request of FEMA; the 31st MEU has since delivered more than 11,400 gallons of water and 48,300 individual MREs to five distribution sites across the island. Members are working to repair and restore power and deliver approximately 10,000 pounds of Red Cross relief goods. The typhoon, which made landfall Saturday over China and Taiwan, has claimed almost two dozen lives with about 100 missing. 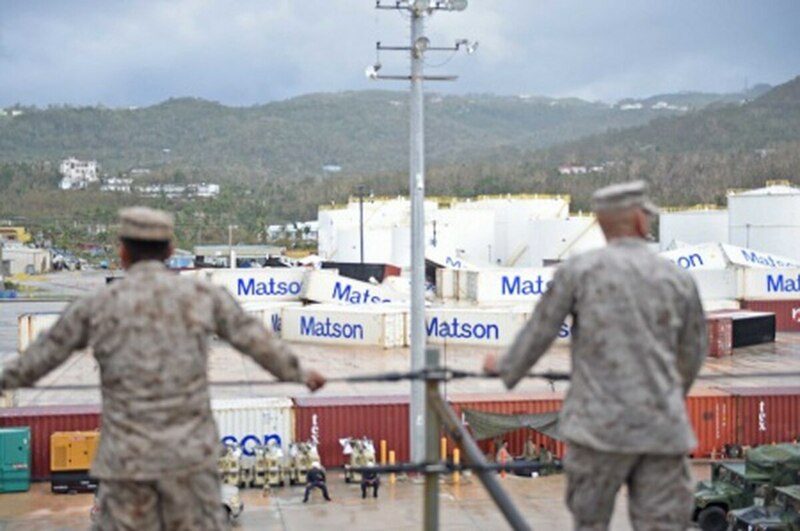 The 31st MEU, scheduled to participate in certification exercises on the islands of Guam, Tinian and Palau from Aug. 10-19, was redirected to the site for relief support.